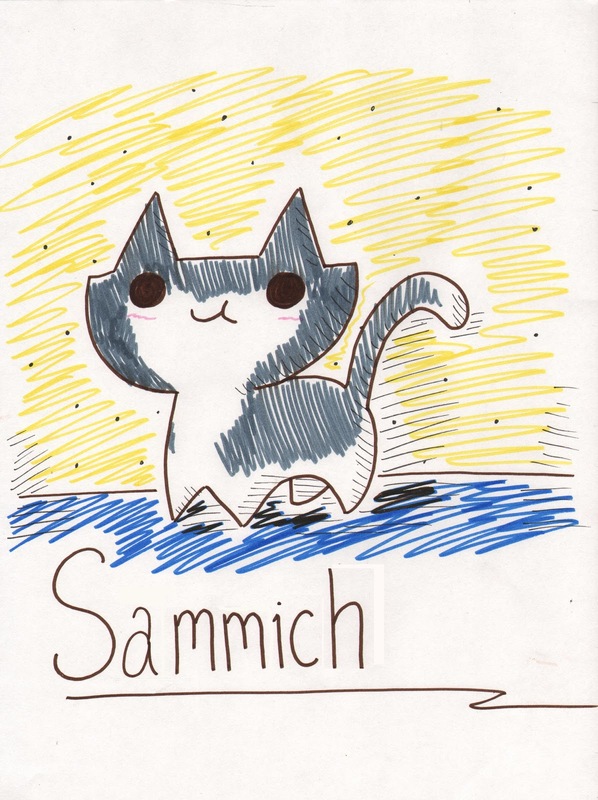 My talented niece Emma K started a cartoon series about a "fierce" grey cat named Sammich. To get ideas for the strip, she observes the antics of her kitties, the ginger brothers: Al and Ringo. looks like talent runs in your family! Love, love, love. 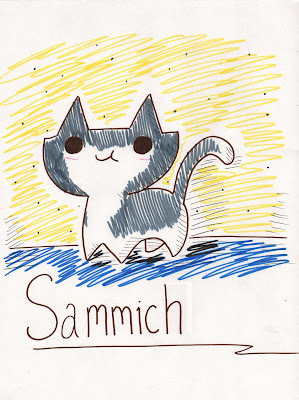 And such an awesome cat name...Sammich. Mm. 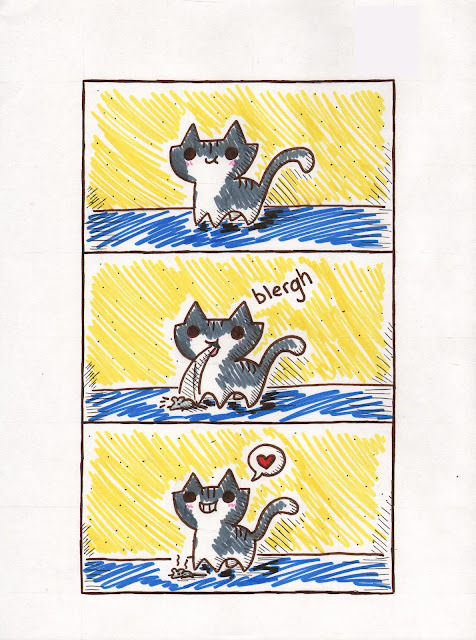 Actually made me laugh outloud, probably because I have had cats that the images remind me of. Very cute besides. Those are super cute drawings! What a cute comic! I love it! OMC. That is so cute! I want to see more of these! Where can I see them? I hope that the Adventures of Sammich will continue, because my son really loves them. 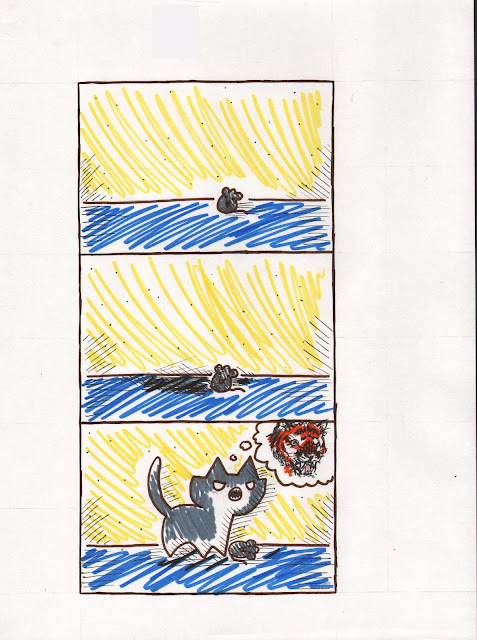 He's too little to understand the basic idea of the story, but likes the kitty pictures :-) So, thanks for entertaining him!